Alhaji Tanko Yakasai, a chip from the old block has reviewed the state of the nation under President Muhamamdu Buhari, and critically dissects the arguments for restructuring. 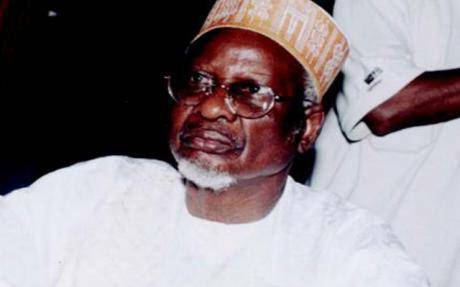 While speaking in an exclusive interview with SaharaReporters, 92-year-old Alhaji Tanko Yakasai, who served as President Shehu Shagari’s Liaison Officer to the National Assembly, opened up on the state of the nation and critically dissects the arguments for restructuring. Yakasai who supported President Goodluck Jonathan against Muhammadu Buhari in the 2015 presidential election said that his warnings that Buhari lacked five critical elements of leadership have crystallised for all to see. As a matter of fact, I won’t say it had affected the polity very much because when President Buhari was sick, he delegated power to his deputy and he discharged his duty creditably, and I think the efforts by Professor Osinbajo at the time the President was away for treatment actually made things to improve, most especially if you look at the crisis in the Niger-Delta which actually led the Acting President to undertake a visit to the area, and as a result of that visit and the consultation he had with the stakeholders and opinion leaders, the crisis decreased. So the crisis in the area was reduced to the minimum. You remember the vandalism of pipelines to refineries and depots which affected the generation of power in the country during the crisis stabilised because of that deft move by the Acting President. That act made the governance within that period hitch-free when the President was away for treatment. How can I be embarrassed? I think those in authority should be embarrassed, certainly not me. But what I learnt was that the list was submitted long ago by various branches or chapters of the ruling party to the President who handed over same to the former Secretary to the Federal Government (SGF), and he sat on them, and we are now getting it out because the new SGF, Boss Mustapha, seems to be more active, and in addition, elections are approaching and the President needs something to tell people that if he is not able to appoint common membership of boards, what is he going to tell his party men who supported him, and these are some of the reasons. Now, the President is hurriedly constituting the boards of federal parastatals, but nothing stopped him from doing same for over two years running now. Was it right for the SGF to dust the file and release same to the public without proper scrutiny? Did you watch the reaction of the former SGF, Babachir Lawal over his suspension on national television? He requested to know who suspended him and was told the Presidency, and he asked again who is the Presidency? He demonstrated from all intents and purposes that he is the presidency. It went further to show that when people accused the presidency of harbouring cabals, it was an admission that there was a cabal and that he was a staunch member of the cabal, which perhaps explained why things happened the way they did; and maybe the new SGF does not think the cabal should continue to operate as it was before his emergence, and therefore decided to introduce some changes. You hardly criticise President Buhari’s style of governance these days, is it that the government has bought you over? (Hearty laughter). Well go and get money for me, and I will take it. I’m 92 now, and if at 92, I cannot use my common sense when will I deploy it again? When I made that statement against Buhari, it was attack from left right and centre, insult here and there, particularly from this part of the country. Since then, I have kept quiet because I knew I would be vindicated one day. I don’t have any more to add. What I said is now confirmed by events. What I said then was that President Buhari was not prepared to govern and that his party has no programme for Nigeria, and it happened. Why should I waste my time anymore? I said it; you have seen and every other Nigerian has seen it. Why can’t I rest and I deserve some rest, and I will allow them to do the talking. I did the talking when it was necessary for me to do and now, it is no longer necessary because Nigerians are doing the talking now. I believe there are five important ingredients necessary for successful political leadership, and these include capacity, competence, vision, planning and integrity. In my opinion, our present national leadership is totally lacking those ingredients. All of them are inherent, they cannot be bought or borrowed, and nobody can change the situation for the better, we have to live with it to the end.